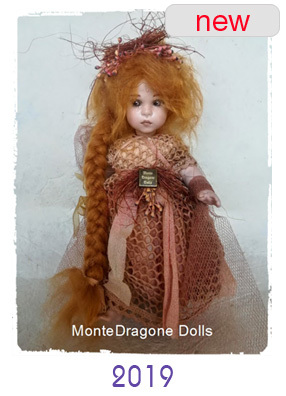 where the Little People are..."
The entire body of our hand-crafted dolls is porcelain. Some of our Characters: Pinocchio, Cinderella, Hansel & Gretel, Little Matchstick, Charlie Chaplin, Pippi, Alice, The White Rabbit, Red Riding Hood, Woodland Fairies, Elves of the Forest, Marionettes, Old Fashioned Dolls, Children, Witches. that inhabit the enchanted land of Montedragone.